Discussion in 'Indian Air Force' started by Levina, Nov 8, 2017. The ever smiling Group captain SS Rao of the Indian Air Force is the most soft spoken person you'll ever meet. Sitting among the young guns of a Mig-21 squadron, who are out to prove themselves, he commands their respect and everyone greets him with a hint of awe. He has recently been awarded the Vayu Sena Medal, so it's only natural for the young guys, yet he shows no sign of arrogance or ego. He's unassuming, barely attracting any attention towards himself, sitting quietly through the pre-flight briefing, focussed and unflinching. Briefing over, he's among the first ones out of the room. 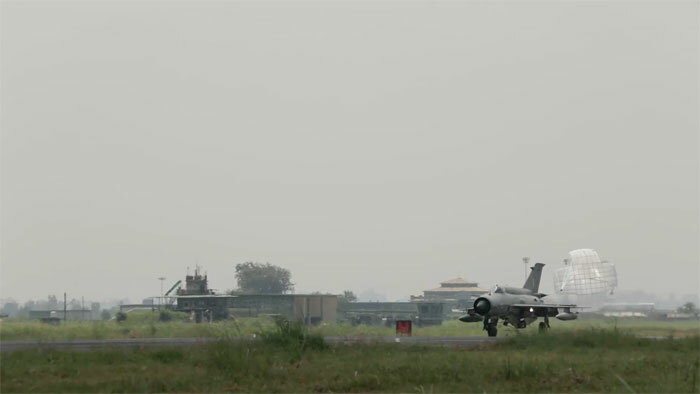 Before you know it, he's in his g-suit, ready for a sortie, to put one of the most capable aircrafts in the Indian Air Force inventory through its paces. One can only imagine what kind of strain the g-forces must be putting on his body. But for someone in his 40s, he looks fighting fit as he emerges soaking wet from the cockpit of the Mig more than an hour later. I see him in his office next. Me and the crew have barged in during his lunch hour, but he's more than welcoming. Running the operations of a fighter base is a lot of paper work and he's surrounded by it. The view out of office however more than makes up for it. We chat for a while about different topics, but never does he bring up his recent award. So I breach the subject. There's no change in his demeanour. He listens to me and then gives us a quick run down, trying his best to get it over with, modesty getting the better of him. So we probe some more. Finally he relents, realising we'll not be leaving without the details. Camera pointed at him, he then gives us a second by second narration of the incident last year. Then a Wing Commander, coming in for a landing, he was warned that the starboard side wheel (right side) of the main landing gear hadn't fully extended and was in fact at an awkward angle. He immediately levelled out and took a quick stock of the situation, his mind going through different scenarios and outcomes within milliseconds, his career training coming in handy. Years of experience told him that a situation like this had never been documented anywhere else before and he might well be the only Mig-21 pilot in history to face something like this. He knew he only had two options, both dangerous - either eject and save his life or land the jet, put his life in jeopardy and try to save the fighter. To anyone, the first option would seem the best bet. He chose the second. He radioed the ATC to clear the runway and surrounding area of vehicles and personnel, and brought the stricken Mig in for the final approach once again. To put things in perspective, the Mig-21 has a landing speed in excess of 300 km/h, the fastest for any military jet anywhere in the world in service today. There's next to no room for error. And yet here he was taking a gamble in a plane that had earned itself a reputation. He made a perfect approach, kissed the tarmac and held on. The starboard side wheel dragging against the bitumen, the entire jet shaking, he kept his calm knowing well that the undercarriage could buckle underneath him at any moment. If that happened, the plane would barrel roll towards the right, putting more lives at risk. Thankfully nothing of that sort happened, though by the time it came to a halt, the Mig was pointing almost 60 degrees to the runway with a mini fire on the starboard wheel. Emergency vehicles had been alerted and were soon on the spot. Wing Commander SS Rao had brought the plane home in one piece, and with it, glory to the 26 squadron. He was awarded the Vayu Sena medal for his self less act of bravery. As a fighter pilot he puts his life in danger every time he takes off. So I had to ask him - would he do things differently if he faced a similar situation again? He keeps the smile on and says he would gladly do it all over again. Wolfpack, zebra7, PARIKRAMA and 2 others like this. nair, Wolfpack and PARIKRAMA like this. nair, Wolfpack, PARIKRAMA and 1 other person like this. Ejecting out of a fighter jet!! !